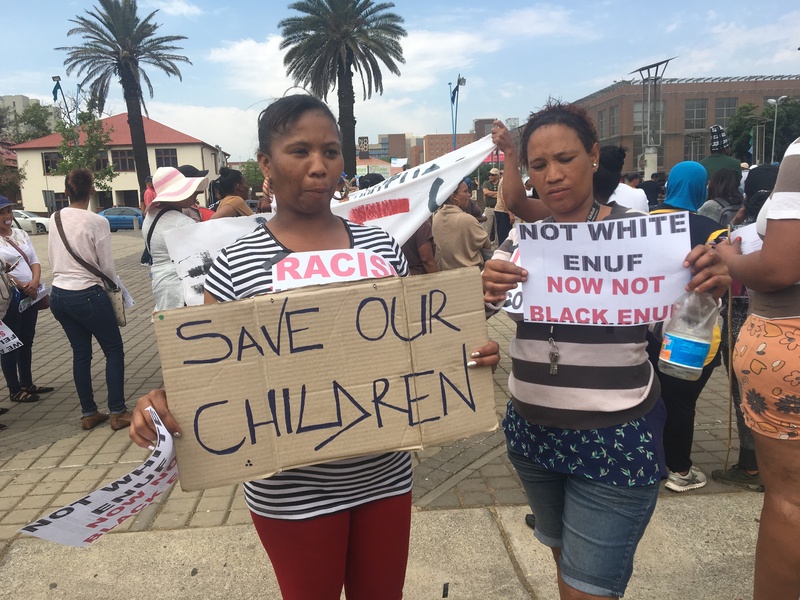 It was the death of Heather Peterson, a 45-year-old woman from Westbury that sparked the widespread protests amongst the coloured communities in Gauteng. Peterson was killed after being caught in a crossfire shootout between two rival gangs. 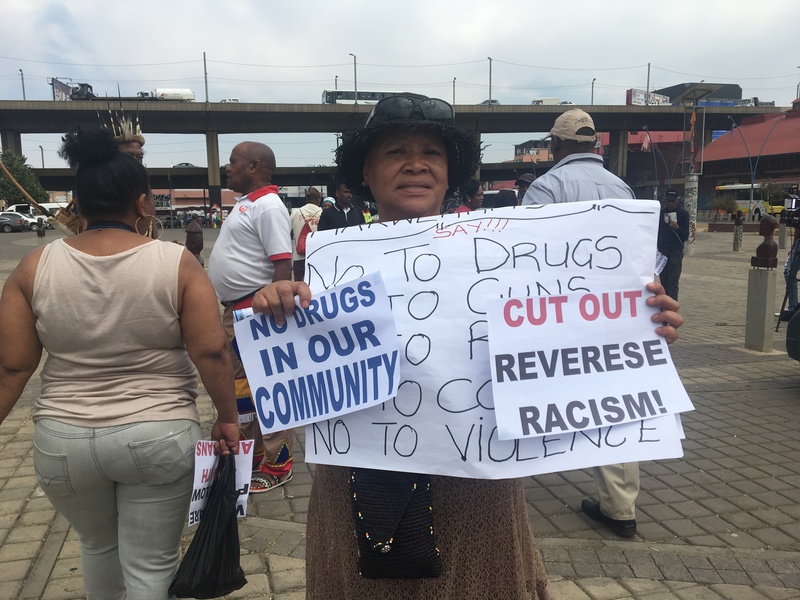 For the past month, communities from Westbury to Ennerdale have taken to the streets to protest against the lack of police action, criminal drug rings, and rising unemployment in their areas. 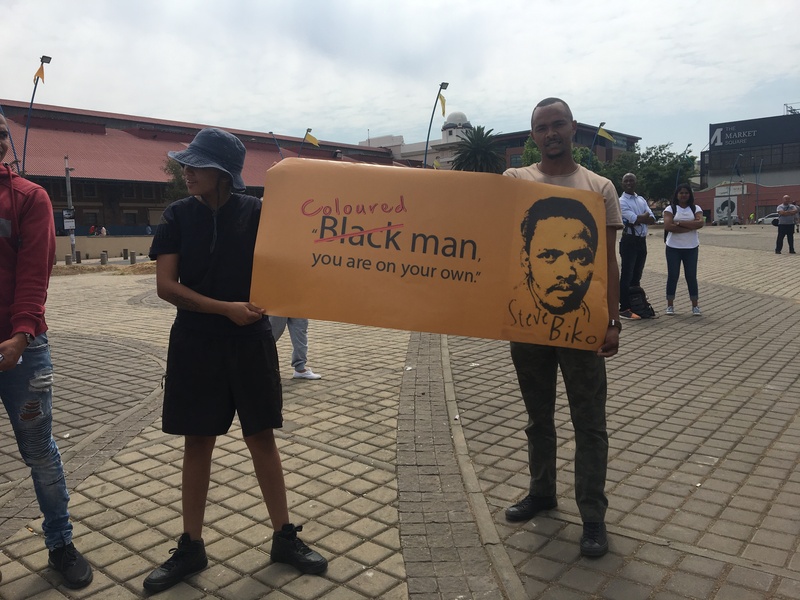 Leading with the narrative of being the forgotten people, the coloured communities have been demanding recognition from the government in terms of employment and decisive action against drug dealers. The Gauteng shutdown coordinating committee (GSCC), made up of several communities, marched on Friday October 12 to the Gauteng Premier, David Makhuraâ€™s office. Under the banner, â€œBlood Fridayâ€, the march called on the Premier to deal with the issues they have raised. Gathered at the Mary Fitzgerald Square in Newtown were community members from Westbury, Bellavista, Riverlea and Eldorado Park. Shouts of â€œFirst Nation, First Peopleâ€ rung out as people streamed onto the square for the plan of action to be laid out. â€œWe came to save our community and the children and, our families. We face a lot of bad things like drugs, fighting and the killing of our people. We just want peace,â€ Community member Abigail from Noordgesig said. The general sentiments from the people at the square was their communities are being ignored by the government, their people are suffering and unemployment had led to rising gangsterism and crime. â€œThe best way to destroy a people is to take away their ability to reproduce themselves. That is what they are doing. They are allowing us to kill ourselves,â€ Shaun from Noordgesig said. In a press statement released by the grouping, they heralded the success of the event as historic: â€œcoming from a community who has been perceived as passive, gangsters, violent and unintelligent,â€ Makhura, who met the marchers at Beyers Naude Park said he would be responding to the memorandum of demands handed to him. â€œI want to say again that I will continue to echo what I have echoed before, we can’t allow this neglect and under-investment to continue,â€ he addressed the crowds. Giving him seven days, the group said while they welcomed his response, they want written undertakings, and a measurable, immediate response. An elderly woman from Westbury said the area is not a nice place for children to be raised, as there is just too much crime. â€œWe donâ€™t deserve to stay like this. In 1994, we put down our votes for a better life. Itâ€™s not right what is happening right now. I am standing here because I love my people and I donâ€™t like what it happening to them,â€ she said.